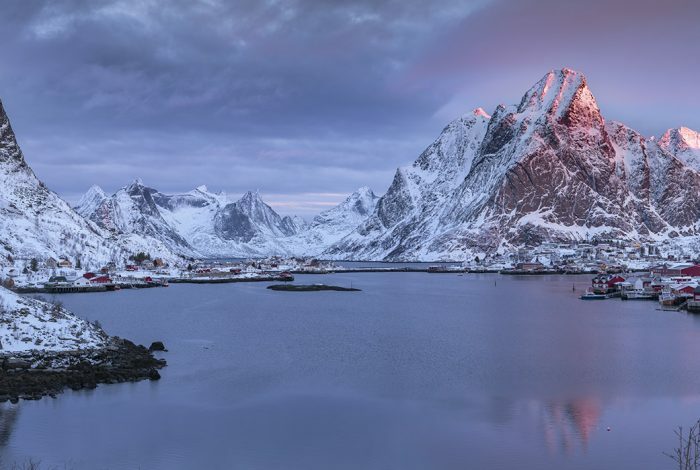 "The Lofoten Islands - a winter wonderland of drama and light"
The stunning Lofoten islands lie inside the Arctic Circle just off the coast of northern Norway. 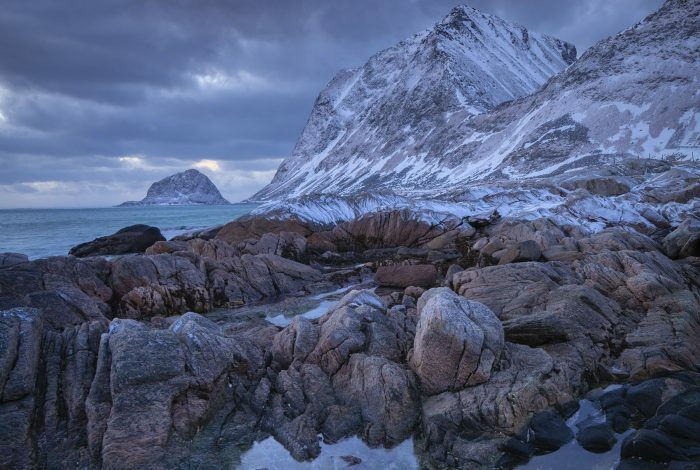 The Lofoten archipelago consists of many islands and you’ll be visiting and exploring 4 of these Norwegian gems. Deep fjords, jagged peaks, wide pristine beaches including Uttakleiv, Unstad and Skagsanden. Then there is also the possibility of the Northern lights show which will make this an incredible photography experience. Lofoten is a truly spectacular destination for photographers in what is one of the most beautiful countries on the planet. 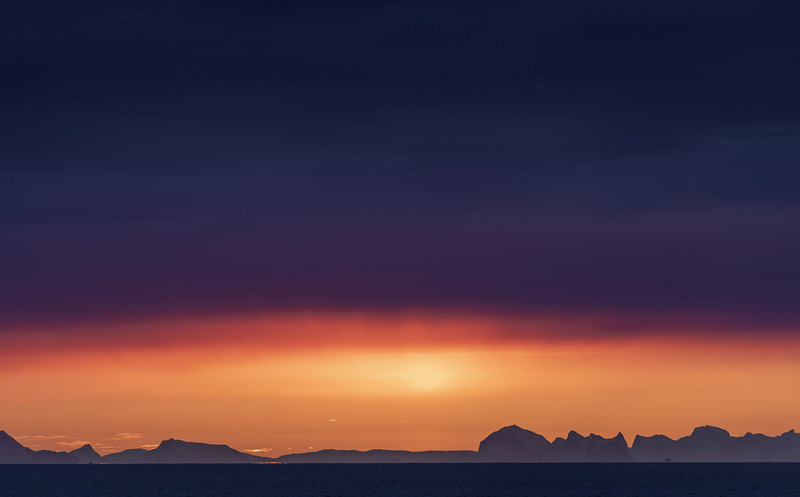 Your first base will be near your arrival point in the small town of Leknes on Vestvagøy, from here you’ll photograph the beaches of Unstad, Uttakleiv, Haukland and Vik at dusk and dawn. There are also ideal spots for catching the Northern Lights if they make an appearance in the dark winter skies and a session on how to photograph these will; be provided. 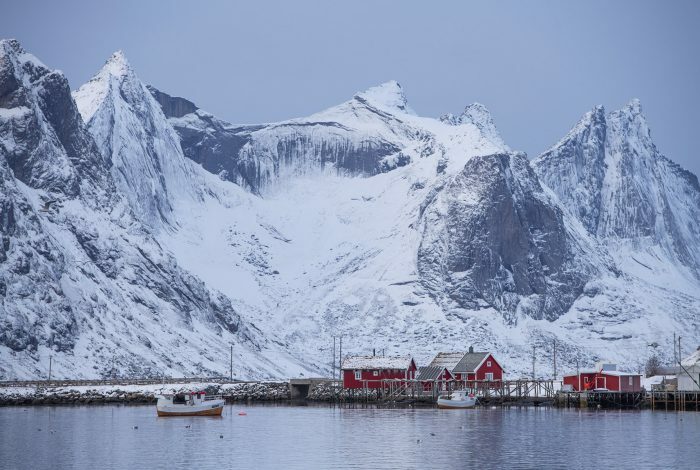 The Island of Moskensøy and village of Reine will provide our second base and you’ll travel down here stopping on the way at some stunning key locations. 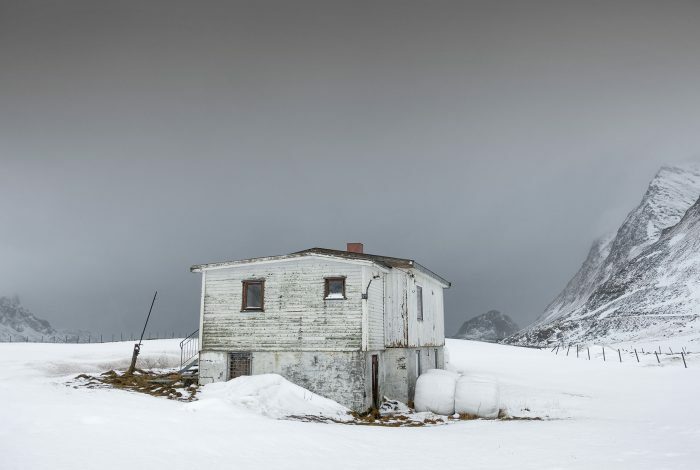 Around Reine, the pointed peak of Olstinden rises steeply from Reinefjord and the surrounding islands with small hamlets are dotted with picture perfect cabins ( Rorbuer and Sjohus ), raised above the dark depths of the fjord on stilts. The nearby fishing villages of Tind, Å, Sakrisoy and Sorvagen can be explored on foot with every aspect bursting with photo opportunities. 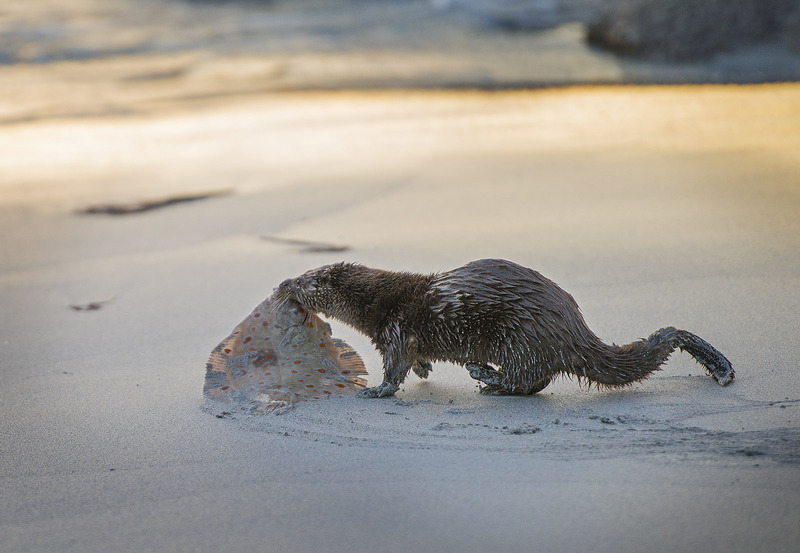 This a photographic opportunity not to be missed and one that will make a lasting impression. 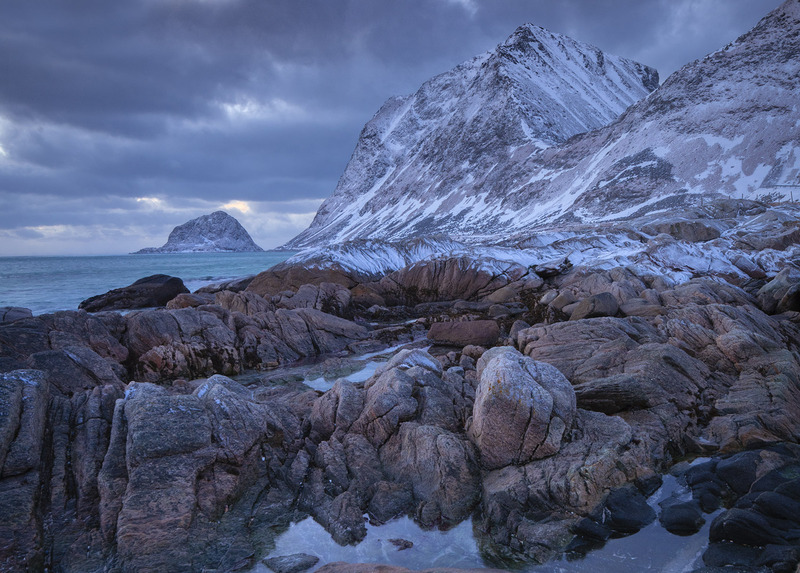 Lofoten is one of the most memorable and photogenic places you’ll ever photograph. Places are limited to small, intimate groups of just 6 so book online now . 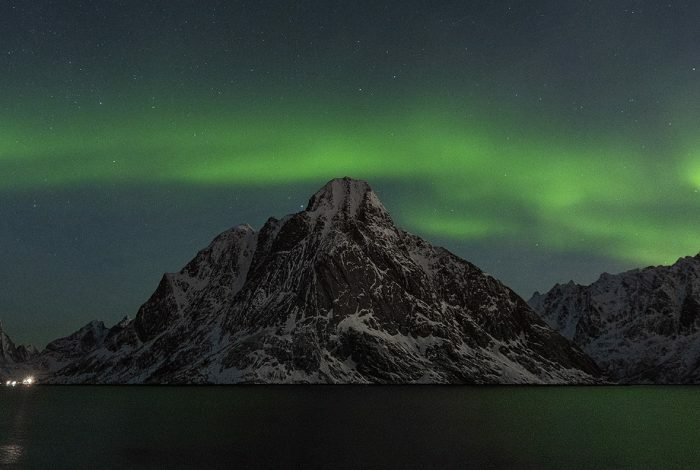 Start time 12:00hrs pick up in Leknes ( Lofoten Islands ) on the 16th February. You may need an additional night in Leknes or Bodo depending upon connection times. Getting there: Flights into Oslo from major European hubs (SAS and Norwegian airlines) then connect to Bodø and then Leknes (Lofoten) Wideroe airlines ( a regional carrier they offer up to 8 flights per day from Bodø to Leknes with a 23kg baggage allowance) or you may fly direct to Leknes from Oslo depending on your timing and preference. You may need to allow a day either side to make connections or allow for bad weather or delayed flights home. There are two bases for this trip: 3 nights in Ballstad on the Island of Vestavagøy near Leknes and 4 nights on the Island of Moskenesøy near Reine. Our cabins are in great locations right on the water close to active fishing communities and consist of single occupancy rooms with shared facilities. Self catering with the occasional restaurant visit, guests are encouraged to help with meal preparation and keeping the Rorbuer (traditional red painted cabins) clean and tidy. Even though these islands lie just inside the Artic circle they still bear the influence of the warmer water from the Gulf Stream keeping temperatures higher than they should be at that latitude. Having said that it’s winter here so occasional storms, snow and ice are not uncommon as are clear blue skies days and great photography conditions. Warm water proof winter clothing and good quality waterproof boots or snow boots are required. More information will be offered closer to trip departure. Most locations are only a short walk from our van such as beaches, viewpoints and small villages at sea level, make this an easily accessible photo tour. However it can be icy and snowy so balance and good grip (snow trax for your boots are a good idea) are essential at times. This is a very sociable trip with communal spaces for editing and relaxing between sessions and getting to know fellow participants. All accommodation is single occupancy with some shared facilities for our group. If you would like information on anything just drop me an email. Guiding, practical and creative assistance on location. Please make sure you have adequate travel insurance for the destination and trip type. "Thanks for the perfect combination of stunning views and an inclusive, fantastic group atmosphere with good laughs and good music. In addition, you are an excellent host and cook. All in all both a relaxing and adventurous photographic experience which was unforgettable" Petra Lens, Holland - Lofoten Participant.